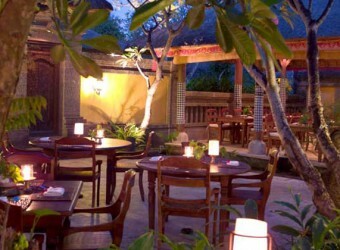 Bumbu Bali Restaurant is surrounded by luxury hotels in Nusa Dua resort area, a restaurant where you can taste a wide selection of representative Balinese food. Mr. Heinz, the owner of the restaurant experienced as the executive chef of leading hotels such as Grand Hyatt Bali and hotels in Europe. He is the author of the highly acclaimed cookbooks. Indonesian food is so delicious!? The owner is a foreigner and I heard that he was the first class hotel chef. Really delicious! !